Through the end of the year, the KJV Illustrated Bible Handbook is available from the Gospel Advocate online store for only $5.97 (Reg $17.99). No promo code is needed for this special holiday season pricing. 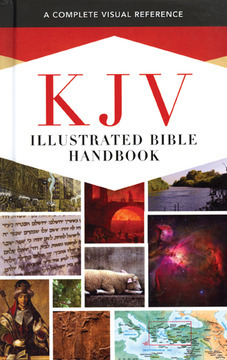 The KJV Illustrated Bible Handbook is a portable hardcover handbook that gives background knowledge to enhance your study. Includes QR codes to enhance your study.